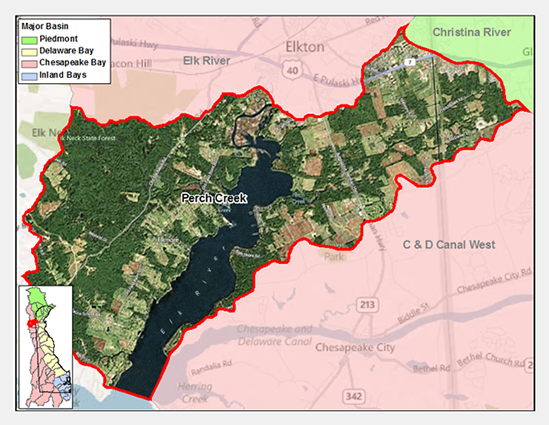 Perch Creek Watershed starts in a small area of Delaware, flows through Maryland and into the Chesapeake Bay. The Perch Creek Watershed has one site listed in the Site Investigation and Restoration Section database. The site is a state-fund lead (HSCA) sites. 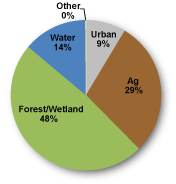 If you would like to view reports for any of the sites in the SIRS program please follow the link the DNREC Environmental Navigator to search by map for the Perch Creek Watershed.